NEW DELHI: Going by the previous year’s schedule, CAT 2017 will be conducted in the first week of December 2017. That leaves roughly 150 days for preparation. CAT is the one stop solution for all such students who dream of getting an MBA degree from one of the best management institutes in India. To top it, CAT score is not just accepted by IIMs but by many other good B-schools. Though CAT is not deemed as a tough exam but is tricky to clear. 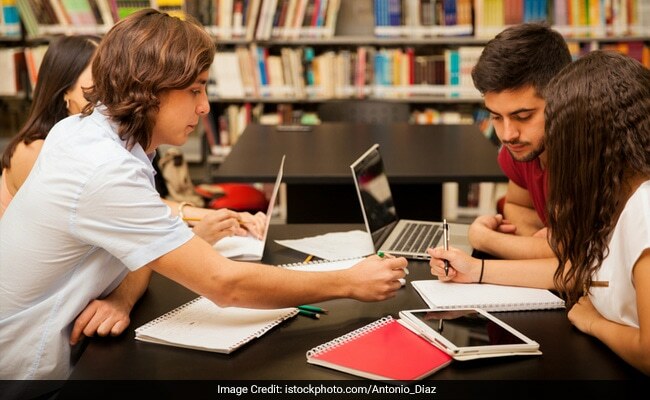 Students who have cleared the exam in the past, claim that the exam is not tough but requires careful and strategic planning in order to clear it. Here we will discuss what should be the preparation strategy for students who will begin preparing for CAT 2017 exam now. According to many experts and students who have cleared CAT earlier, this is the right time to prepare for CAT exam. The first 2-3 months should be devoted to learning the basic concepts and brushing up the fundamentals of the topics. During this time, it would be a good practice to pick up mock tests and previous year question papers and begin solving them. In the beginning, the frequency of solving mock tests should be one to two in a week. This way, not only will you be able to analyze where you are in terms of your knowledge, you will also get to measure your progress as you go along with your preparation. Contrary to popular opinion you do not need to study for 8-12 hours every day. Even 4 hour study duration is enough, given that you are focused and attentive toward what you study. You will also need to categorize the topics to be covered as most difficult, difficult, moderate and easy. This will help you in a directed preparation and hone your strong topics and work harder on the weak ones. Learn more than one method to solve a question. During the exam, knowing more than one way of solving a question will help you in solving questions more accurately. Accuracy is one of the key factors in scoring a high percentile in CAT exam. While, preparation make sure that you pay equal attention to all the three sections. Sometimes students who are good in English, pay less attention on preparing for VRC section and end up scoring bad despite having a strong grasp on the language. Make a routine and schedule for studying and stick to it. Incorporating CAT preparation in and as your daily schedule will help you stick to your goal and will deliver desired end result. Toward the last phase of your preparation, do not start learning new topics. The last phase specially the weeks leading up to the exam day should be devoted to solving mock tests entirely. During this time you should be solving at least two mocks in a day. Many Cat toppers swear by mock test solving and have said that solving mock tests helped them get in the right mind frame and solving CAT questions while sticking to the rules of the exam became second nature to them.